When a basketball team boasts what many around the Metro League believe to be the best pure scorer regardless of position in the conference, offense can come easy. Sunset junior point guard Braeden Sato is the sort of microwavable, get-hot-in-a-hurry bucket-getter who can go off for 30 on any given night and put the Apollos in position to win. Whether it's careening off a thicket of well-positioned baseline screens, skimming off Iverson cuts, or bounding around ball picks on the wing or the top of the key, Sato is as dangerous as any player in Metro. He has no conscious as a shooter and his distributing skills as a passer are underrated as well. Give him space and he'll splash it from deep. Pressure the 5-foot-10 Sato and he'll knife into the paint with one or two dribbles and make a play. He'll be the engine to an Apollo team that hasn't been beyond the first round of the Class 6A playoffs since the 2013-14 season but is eager to prove it can play deeper into the postseason. "As a returning first team all-league player, Braeden is a creative guard who can both score and generate offense by getting his teammates involved," Sunset head coach Todd Sherwood said. "I think we can compete with everyone but must be on top of our game by January and February. We hope to compete for one of the three automatic (playoff) bids. Southridge has to be the favorite, with Jesuit a close second." Sato will start at point alongside senior Sam Muhlheim, Joey Kelton, Colby King and Will Reese. Reese is "a great teammate" who fills up the stat sheet by setting screens, rebounding, blocking shots, and getting to the basket, Sherwood said. The athletic, hard-charging forward had the game-winning tip-in against Westview last year at home in front of a capacity crowd, showing effort and a nose for the ball in a game that helped send Sunset to the 6A playoffs. Muhlheim is "a coach's dream," Sherwood said, who takes pride in his defense and can play inside or outside on offense. King is "so strong off of the dribble" and hard to guard off the bounce. Look for junior guard Elijah Vernon and sophomore Kell Estep to contribute to the rotation as well. Kell Estep is the younger brother of ex-Beaverton Metro Player of the Year Jake Estep. He's a 6-foot-3 swingman with an eerily similar game as his older brother. Both are deadeye shooters with high basketball IQ's. Sunset began the season 2-0 with a road win over Newberg and a home opening 77-71 triumph over North Medford. Sunset jumped out to a 26-9 first-quarter lead, coughed up the advantage and fell behind 58-51 going into the fourth, but outscored the Black Tornado 29-19 in the final frame. Sato scored 10 of his game-high 29 points in the fourth quarter. The point guard made five threes. King added 15 points while Kelton chipped in 9 and Estep had 8. 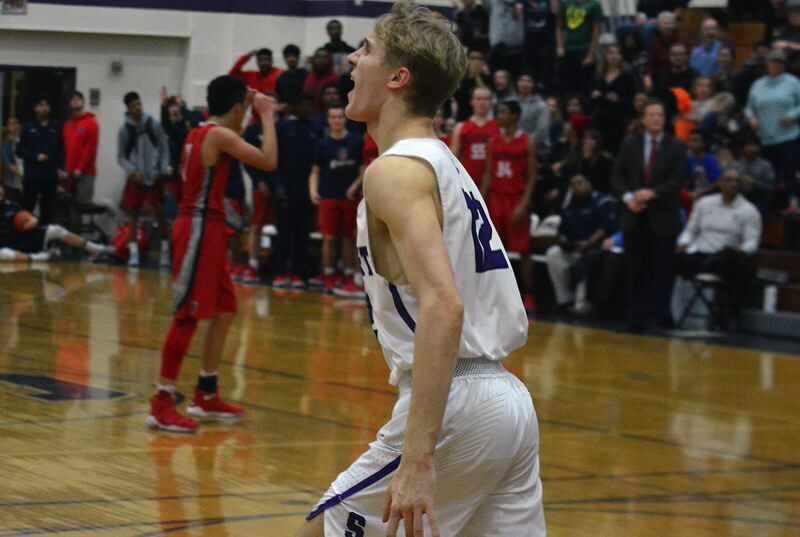 The Apollos have a challenging non-league slate with matchups against South Salem, David Douglas, Central Catholic and West Salem during a key four-game stretch in December. The subtraction of Glencoe, Century and Liberty opened the door for additional non-leagues, giving Sunset and all of the Metro schools extra chances to boost their RPI and Colley rankings going into conference play. Sunset was ranked No. 9 in the latest 6A coaches' poll after starting the year 4-0.